We’ve just completed our first major SITS training on clearing at the University of Bradford. The attendance and reception of the sessions was fantastic, and so was the feedback we received. We would like to offer our thanks to everyone who attended the training over the past two weeks, it’s always a challenge to show new screens to groups with mixed SITS knowledge, but we were very pleased to see some very positive feedback on the sessions. The Clearing Call Centre screen, or CCC, is used within the SITS Student Records System to record clearing applications. The neat, tabular layout has been designed to make taking calls easier and faster for the Student Ambassadors. Everything has been organised specifically for the way we work here at Bradford so we can go into clearing 2015 as organised as possible. 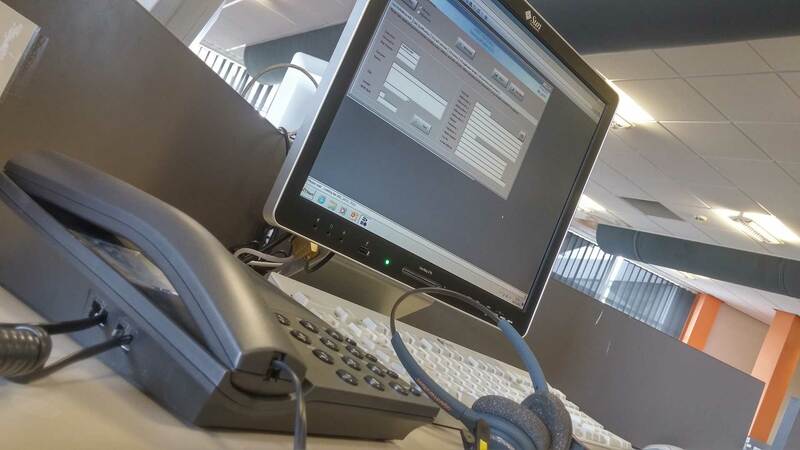 The Clearing Call Centre screen has already been shown to some students, and comments from them are also very positive on it’s organisation and ease of use compared with previous years. Student Ambassador training continues to be delivered in faculties as we build up to the August training days before the big event itself. To aid people’s understanding we have a YouTube video guide which is available on request so please get in touch if you want to see the screen in action. We also have a hands-on clearing training resource available to UOB staff members who do not have access to the SITS system or CCC already. There is of course more to come on clearing, and more training with us as we continue working on improving SITS knowledge across the university. We look forward to seeing more of you in the coming months, keep an eye on this blog for more updates.